Axl Rose performed his fifth concert with AC/DC on the Rock Or Bust tour in Vienna, Austria on May 19 and video from the event has surfaced. Fans at Ernst-Happel-Stadion rocked through a now standard 23-song setlist with Rose mobile enough to spend some of the show on his feet with the help of a walking boot as he continues to recover from a broken foot suffered during Guns N’ Roses’ April 1 club gig at The Troubadour in Los Angeles. The singer also continues to use a scaled-down version of a throne on loan from Dave Grohl, who had the customized setup made after breaking his leg during a June 12, 2015 show in Gothenburg, Sweden; the inury resulted in surgery and led to the cancellation of the Foo Fighters’ European tour last summer. 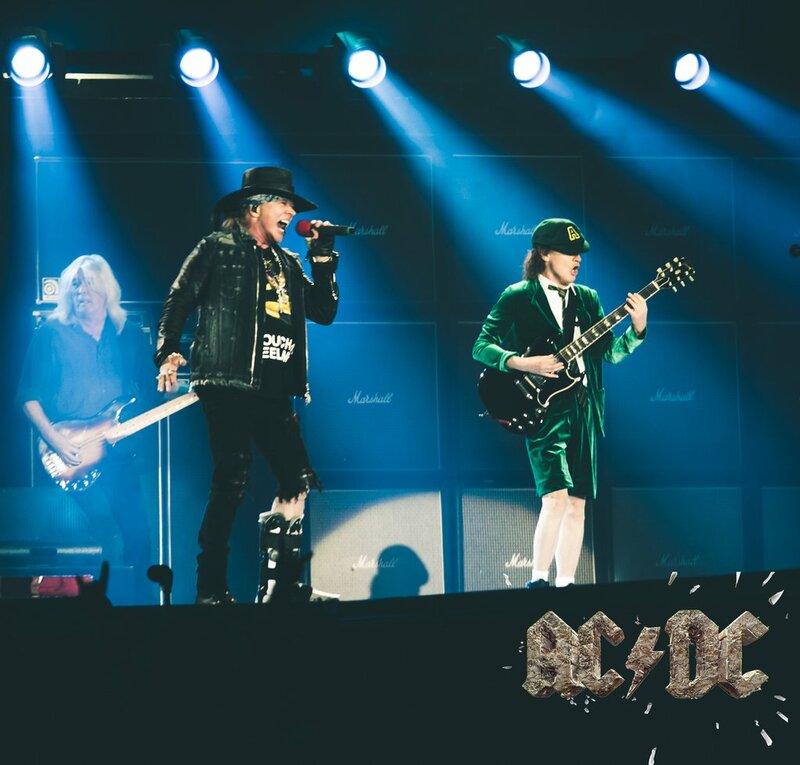 AC/DC’s spring European trek runs 12 dates with shows wrapping up in Aarhus, Denmark on June 12. The band will next perform at Letnany Airport in Prague, Czech Republic on May 22.